Sadly last day and an early start - time to pull up anchor, wave good bye to the picturesque surroundings and sail or motor back to our base at Abell Point Marina. On when passing pioneer point it is time to radio in for instruction from our staff. We will remind you to empty your holding tanks and once outside the marina rock wall call us again to allow us to meet you. Once inside the marina one of our wonderful staff will board your boat and take you to the fuel dock. Your boat will be topped up with fuel and brought back to a berth. Our staff will do all the vessel maneuvering, so don't worry. We will also assist with your departure from the vessel. 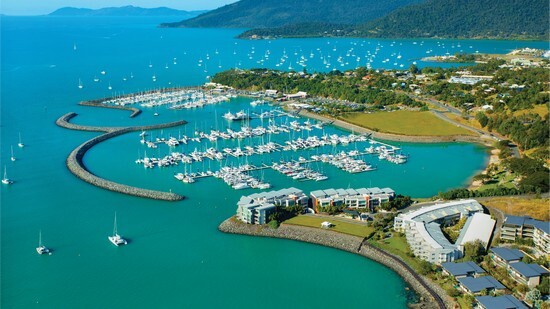 If you do not have an early departure there is still the opportunity to visit the centre of Airlie Beach. You are welcome to leave bags in our office and head to the lagoon for a last swim and lunch before departing us, hopefully with wonderful memories, awesome photos and thoughts of a return visit to continue your adventure. With 74 islands there are so many more places to explore. The CCY team are keen boaties, local enthusiasts or Whitsunday ambassadors. we want you to have the most amazing holiday ever! If we can give you any further advice please pick up the phone and call us - we are standing by for your call! Seven nights is never long enough in the paradise of the Whitsundays. You should have booked for nine or more nights to allow yourself to fully unwind and take in this natural aquatic wonderland. With more nights you can go further south and escape to deserted beaches.